Photo frames with plant decorations and copy space for your text. Vector graphics of generic photo frames decorated with flowers. 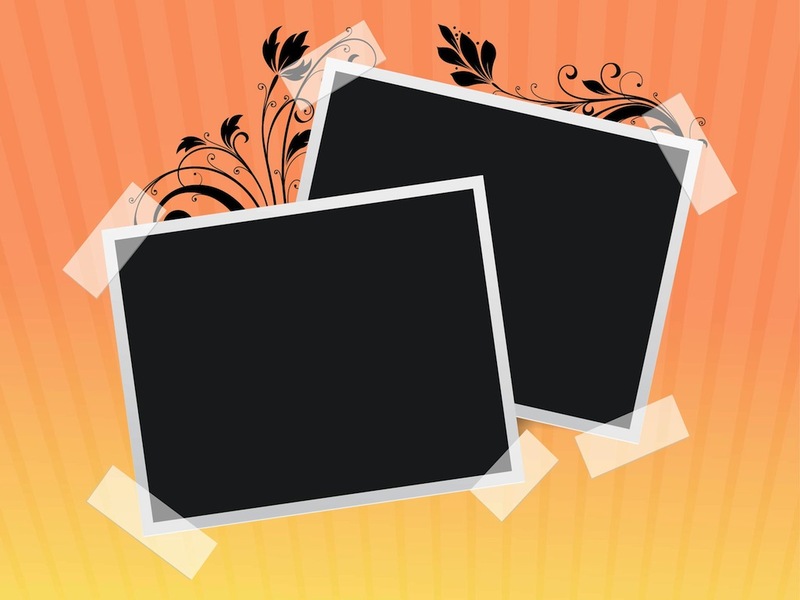 Dark blank templates for photographs or other illustrations, transparent pieces of tape on the corners and swirling floral silhouettes decorating the design. Free vector illustration for all photos, photography, memories and portrait design projects. Tags: Flowers, Photography, Photos, Plants, Silhouettes, Spring, Tape, Templates.